Charlotte Olympia always makes awesome shoes that we one day dream of being able to afford. This season, however, she&apos;s really outdone herself. 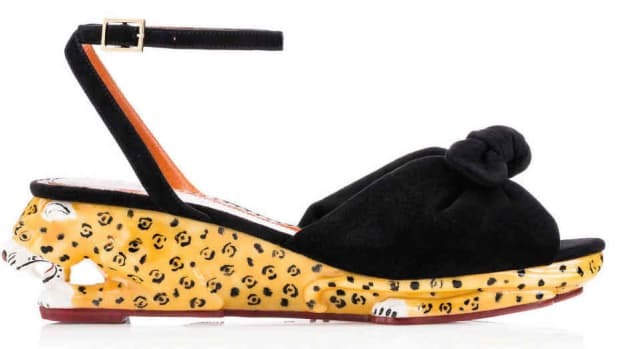 For fall/winter Olympia has designed several shoes embroidered with kitties on the toes (thanks to Elle for pointing them out). And you guys all know how I feel about cats in fashion. So, you see, I had to share these with you. Shame that they&apos;re just under $900 US (£545). Check out the other styles. You know you wanna see them in their red velvet platform incarnation.